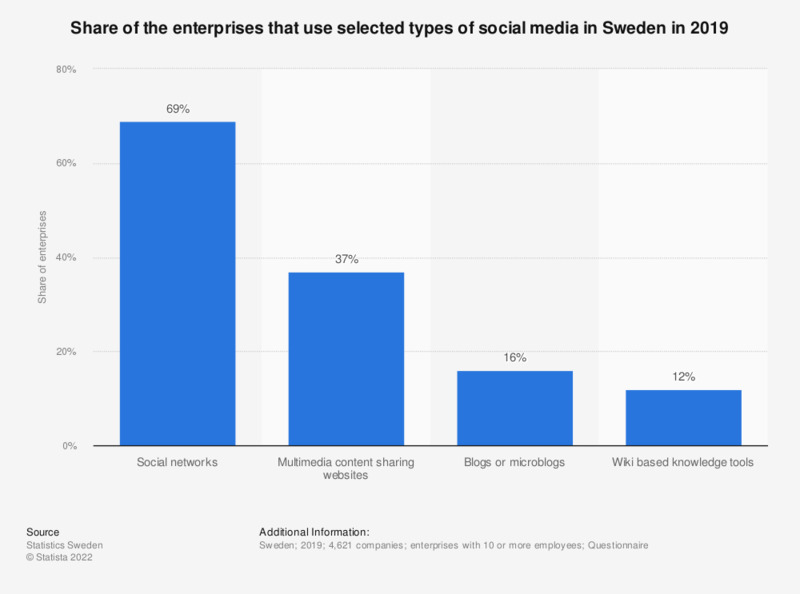 This statistic displays the share of enterprises that use selected types of social media in Sweden in 2017. That year, 63 percent of companies used social networks in Sweden. Multimedia content sharing websites e.g. YouTube, Pinterest or Picasa. Which online communication measures are most successful in your opinion? Women: Do you share and post GIFs?